۱ A Hindu devotee gets showered as part of a cleaning ritual before his pilgrimage during the Thaipusam festival in Kuala Lumpur, Malaysia. 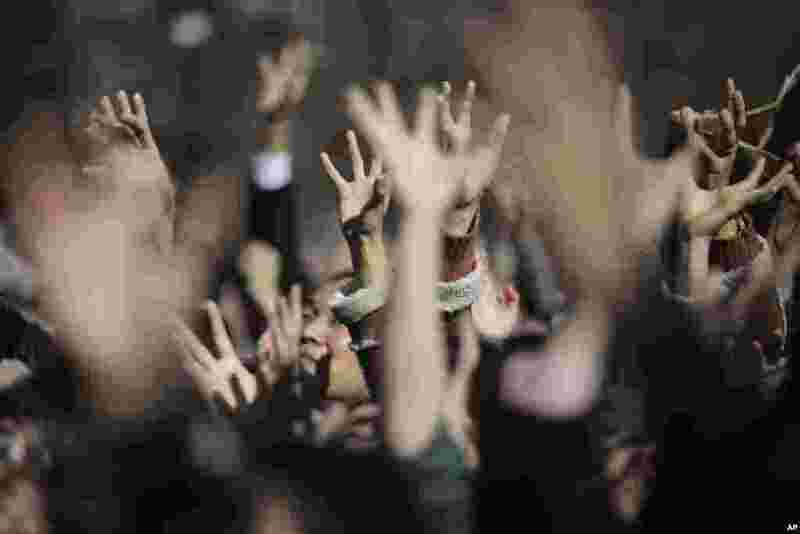 ۲ People try to catch lucky beans scattered by celebrities during "Mame-maki," a bean throwing ceremony, at Zojyoji Buddhist temple in Tokyo, Japan. 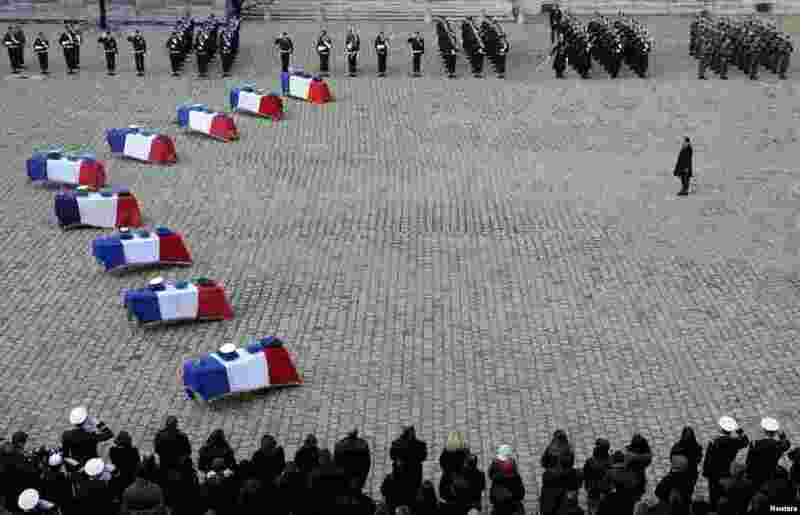 ۳ French President Francois Hollande pays his respect to the flag-draped coffins of the nine French Air Force personnel in the Invalides courtyard during a ceremony in Paris. The air force personnel died in an accident at a base used for NATO training where a Greek F-16 fighter plane crashed after taking off from Albacete, Spain, about 250 kilometers southeast of Madrid on Jan. 26, 2015. 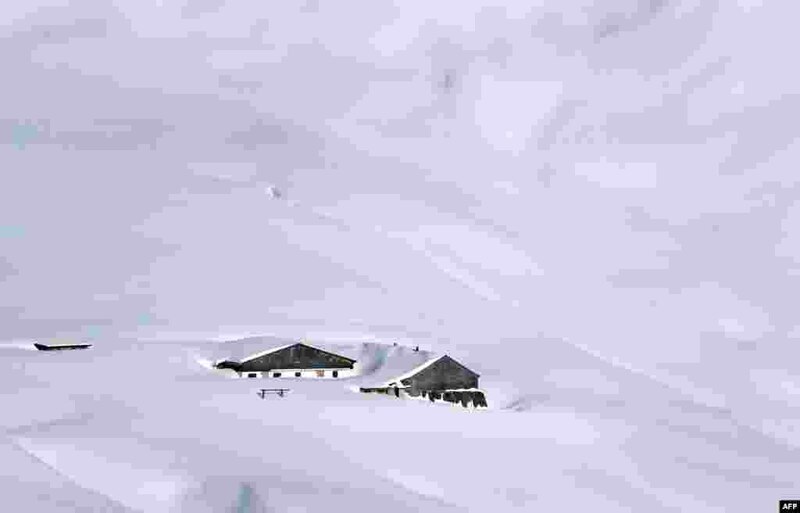 ۴ A farm is covered in snow on the Fellhorn mountain near Oberstdorf, southern Germany.